Stay at Loon Meadow Farm's B & B and enjoy a horse drawn sleighride. Lodging and Carriage Ride Package! Stay at our Bed & Breakfast, with a Private Carriage Ride Package! Have a full country breakfast and a private horse drawn carriage ride! Package priced for one or two nights! Loon Meadow Farm is only minutes from downtown Saratoga Springs! And all Saratoga Springs and the area has to offer! 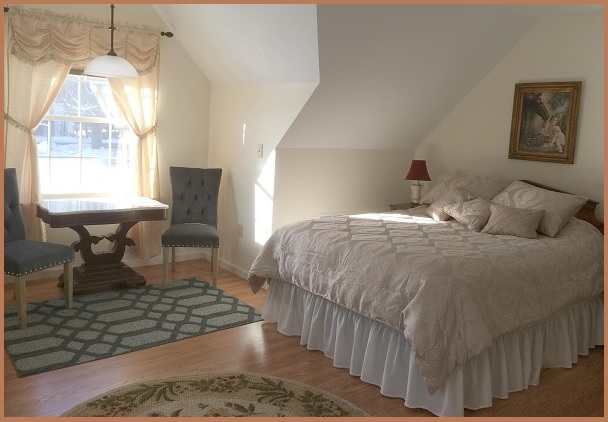 Enjoy a stay in our Bed & Breakfast just 7 miles from downtown Saratoga Springs and less than 20 minutes from four Northway Exits, 13N, 15, 16 or 17S and 30 minutes from Lake George and take an approximate one hour journey over quiet country roads, beginning and ending at our country B&B! Loon Meadow Farm is owned and operated by Beth and Steve Podhajecki, located in the rural town of Greenfield Center NY, only 6 miles from downtown Saratoga Springs. 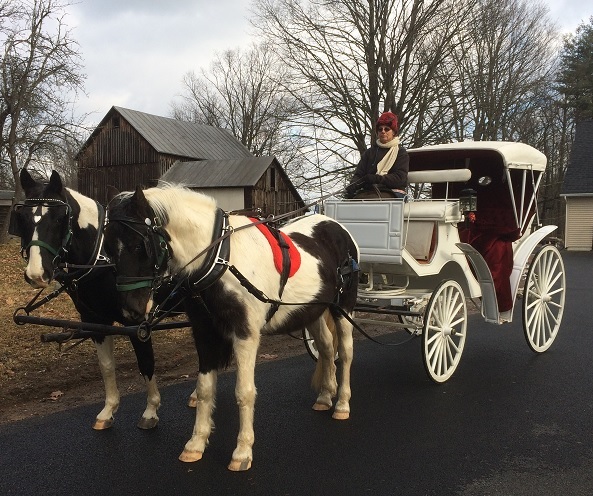 We offer private rides in Saratoga Spa State Park and carriages, wagons and sleighs for special events in the upstate NY region. Our Greenfield farm has been in Steve's family for 75 years and boasts 153 open and wooded acres, offering year round carriage rides and winter time horse drawn sleigh rides from our farm. Sleigh rides to be enjoyed, with hot mulled cider afterwards! Loon Meadow Farm began operations in Norfolk CT, Servicing the tri state area for over 30 years, providing horse-drawn carriages of all types for weddings, parties, funerals, Baraats, sweet 15's and 16's, as well as all types of public, private, school and town events. In April 2016, we relocated operations to the quaint village of Greenfield Center NY, entering into a more local area of operation to continue offering our wide range of horse drawn services while enjoying all life has to offer in the Saratoga Springs area, that Steve grew up in and we both love. We are home to French Percheron carriage horses and Quarter horse/Morgan cross ponies along with our frisky Standardbred Molly. Caesar, our Jack Russel Cairn Terrier mix loves to ride on the carriages and sports a nifty bow tie for formal events! Loon Meadow Farm's Horse & Carriage Livery Service has been providing horse drawn vehicles for private and public events, for over three decades. For those visiting the Saratoga Springs area we also have a guest house. Each have private baths, one also has a private entrance, an additional day bed and can connect to the adjoining room, making a suite where your family or friends can stay for a long or short term! Prices vary by season. Make a carriage, hay or sleigh ride from Loon Meadow Farm a memorable part of your visit to the area! © Loon Meadow Farm - All Rights Reserved.